I’ve finally made my way back into the garden – permanently this time. I lost interest in it after Alf died – it made me too sad. I watered it occasionally, and cut the grass infrequently, but that was about it. Alf was very proud of what I’d achieved, and was always showing it off to our visitors, or watching what I was doing from our balcony. I miss him, and gardening reminded me too much of him. Anyway, I’ve decided that it’s about time that I get off the couch, get stuck into it, and continue to make Alf proud. Luckily I planted a low-maintenance garden, otherwise I’d be in big trouble after ignoring it for six months! Good news is, nothing died, and everything kept right on growing. In some cases, a bit too much! I dug up the bed as the soil had compacted and was rock hard. 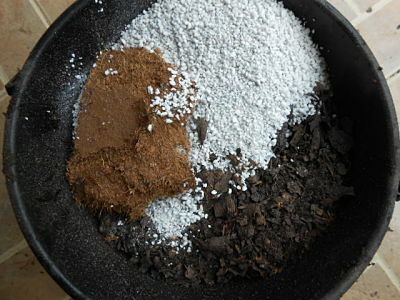 I then added a mix of composted horse/chicken manure, perlite and coco peat, and dug that into each square. The only things still there from last year were a straggly thyme plant, spring onions, half-dead oregano, and strawberries. The original strawberry plants had died, but I transplanted about 20 new small plants that had grown from runners. Again, I’ve only planted things that are expensive or not available here. 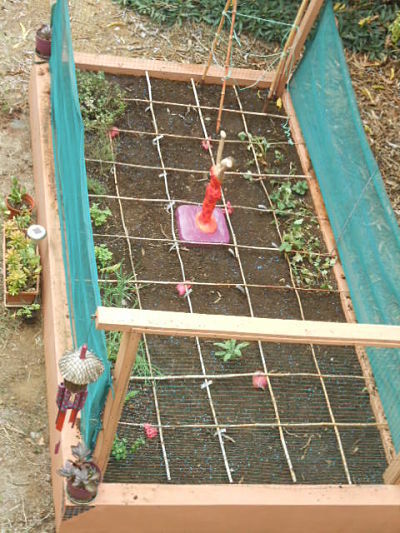 I have six empty squares which I’ll use to plant more salad vegetables in a few weeks’ time, so that I get a staggered supply rather than have everything maturing at once. And I’ve moved my cement statue into the middle of the bed – she adds height, colour and interest to the empty bed. One of the reasons the SFG bed was so dry (ignoring my bad watering practices for the moment! ), was because last year I mulched it with the horse/chicken compost we bought. The compost was either hydrophobic and repelled water, or it absorbed the water, and just held on to it. I’m not sure which, but either way, it prevented water from reaching the soil. I’m glad I’ve discovered that now, as I plan on mulching the entire garden with it at some stage. As an experiment, I’ve soaked it in water, along with perlite and coco peat, and mulched the planter on the garage roof with it. This planter is in full sun for most of the day and dries out quickly, so I’ll soon be able to tell whether it’s effective or not. Lack of fruit on the vine can be due to insufficient water, so I’ve given it a good soaking, and used the mulch mix around the base of the vine to stop evaporation. It’s been so long since I bought it, I can’t remember whether it was a yellow or purple variety – hope it’s purple – yellow clashes with the wall colour! This entry was posted in #2 - June, Creating My Tropical Garden, Garden Updates 2014 and tagged coco peat, compost, manure, mulch, passionfruit, perlite, square foot gardening by Veronique @ My Mauritian Garden. Bookmark the permalink. My name is Joe Pinzone and I’m casting an international travel show about expats moving abroad. We’d love to film in Mauritius and wanted to know if you could help us find expats who have moved there within the last 15 months or have been there for 3-4 years, but recently moved into a new home. The show documents their move to a new country and will place the country in fabulous light. The contributors on the show would also receive monetary compensation if they are filmed. If you’d like more information, please give me a call at 212-231-7716 or skype me at joefromnyc. You can also email me at joepinzone@leopardusa.com. Looking forward to hearing from you. I can be contacted on the 5 499 33 91 also. Trust this mail reaches you in good shape. I’m the newest sales officer at Renaissance gardens. 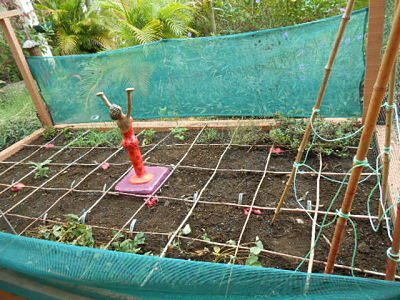 Some of our nursery staff came across your blog, namely : My mauritian Gardens . We are charmed by what you wrote about the nursery and we thank you for that . You are warmly invited for another visit since there have been few positive changes. Earlier this week , the company launched a new website and we would love to include your recite in one the section called “testimonials”. Kindly let me know if this is possible or not. Thank you in advance. Have a nice weekend. seems to be a very nice garden you got going. Can you tell me where to get perlite in mauritius? Notice that practically all of the stuff you grow is stuff we grow in France. Ironically, every year in MRU, we source seeds there that we don’t get in France, i.e. long aubergines, margoes, different bred etc. If you would like any seeds from here, let me know before the next time we come (probably November), and I’ll see what I can do. Impressive work and achievement. Happy to see this professional gardening touch. Glad to hear you are back in the garden. We continue to improve our garden and are beginning to see results now that the mealie is nearly a thing of the past. I lost all me tomato plants eventually without getting any tomatoes. The roquette grows very well and we have planted lots so we can start selling some of it. It makes wonderful salads and i love it. We have been able to make a passion fruit fridge tart from the garden and a nice jug of fresh passion fruit juice. The chili from the garden has become the favorite chili amongst out friends and we have started selling that too. My worm farming or vermicompost is slowly coming up to speed as i breed more worms. 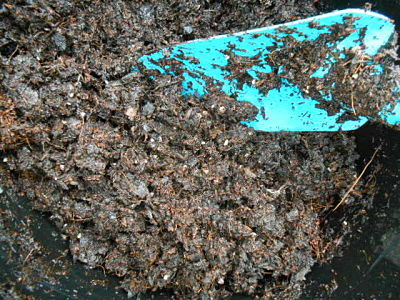 The compost and worm tea makes a huge difference in the garden. We also managed to get a good haul of compost from the mango leaves which surprised me as i had heard it could take 1 or 2 years to compost. loving the gardening even tho it is hard work. 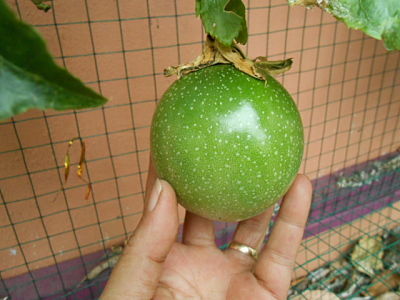 Your fruit looks like a pasion fruit which is yellow . Grenadilla is purple. looks like you will have to paint your wall . lol. Keep strong my gardening friend. xxxxxxxxxxxxxxxxxxxxxxxxxxxxx WELL DONE VERONIQUE. ALF WOULD BE PROUD OF YOU. I GUESS YOUR MAM BEING HERE HAS HELPDED TOO. KEEP IT UP – YOU PUT US ALL TO SHAME. HOPE TO SEE YOU BEFORE I HIT THE SKIES.